Southminster Presbyterian Church welcomes the arrival of summer with one of our most beloved traditions: Chapel in the Woods. This fun, informal outdoor service begins at 8:45 AM and is conducted in our open-air chapel in the woods behind the church. Enjoy worship and fellowship surrounded by nature. The dress code is casual and the music is a mix of traditional tunes and old camp favorites. To locate the chapel, park at the rear of the church lot near the playground and follow the posted signs. Outdoor worship concludes by 9:30 AM to allow for time to transition to Sunday School. The outdoor worship service will not always replicate the regular 11:00 AM worship service. 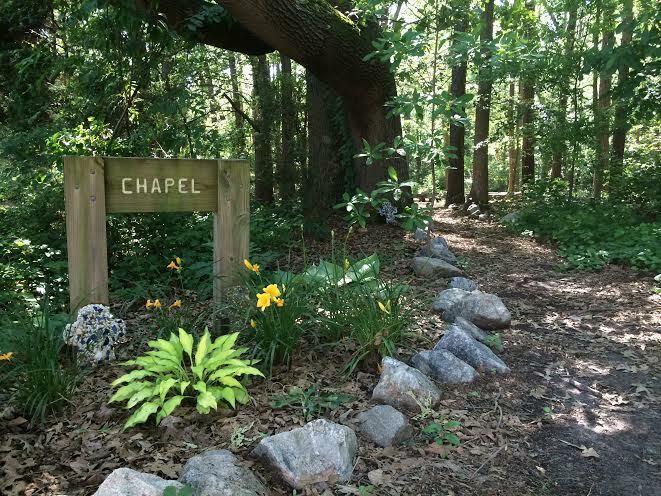 Chapel in the Woods will begin on Sunday, June 2, 2019.